1) Ash and Pikachu was on their vacation on an island, name it? 2) Ash was swimming on along with a Pokémon, name it? 3) Name the other person on vacation along with Ash and Pikachu? 4) On the sea, Lana sat with which Pokémon? 5) Name the Pokémon that she catched with her fishing rod? 6) When Ash was on the Melemele beach, he step on a Pokémon, what was it? 8) The Alola vacation tickets were won by whom? 9) Where did Ash and his mum went to after their fun on the beach? 10) What did Professor Oak gaveto Ash for his cousin, when Ash was along with his mom? 12) On the way to professor Oak’s cousin, Ash’s mum picked something as a gift, what was the gift that she picked? 13) Ash tried to catch a Pokémon on the market, name it? 14) When Ash and Pikachu were trying to catch up Grubbin, what Pokémon did chased them? 15) On their way, they met a Pokemon in the woods, name it? 16) Name the Pokémon that they saw in the air? 17) Name the Pokémon that the children were raising on, when Ash went to see the school? 18) The Blond girl who is scared of Pokémon’s is? 19) Ash hit his head on a fruit in the forest, name the fruit? 20) The green coloured long hair was possessed by which girl? 21) Every time, Mallow had which Pokemon along with her? 22) The Pokémon school was shown to Ash by whom? 23) Ash met someone in principle office, who was it? 24) What wad the thought that came to Mallows mind about Ash, when both of them met for the first time? 25) A phone call was made by Professor Samson while he was in the office, name the person who he was calling? 27) Ash and Mallow saw someone on the corridor while they were looking around the campus, name the person? 28) In the Pokémon school many students were bullied by whom? 29) In the battle, what were the Pokémon’s that team skull used? 30) Name the person belonging to team skull? 31) Kiawe was helped by whom in the battle with team skull? 32) Kiawe fought with team skull by using which Pokémon? 33) Pokémon Turtonator is a type of what? 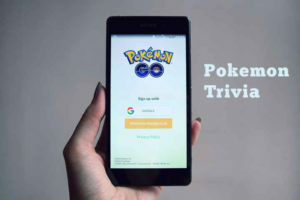 35) Zubat is a type of what Pokémon? 36) The Turtonator shell will _ when something touches its spine. 37) The team skull had been with a move of Kiawe, what is it? 38) What number of Island do Alola consist of? 39) What do the Island’s have as their own? 40) The Pokemon Boldore is a type of what? 41) What do Ash want to become in future? 42) In what do Spinda involves in? 43) Tapu koko is known to be the guardian of which Island? 44) Primarina releases what when it dances? 46) What do Trevenant mean? 47) What power do Tapu Bulu has to manipulate? 48) Ash received what from Tapu Koko? 49) Ash’s mum agreed to join a Pokemon school, where did Ash stay at this time?